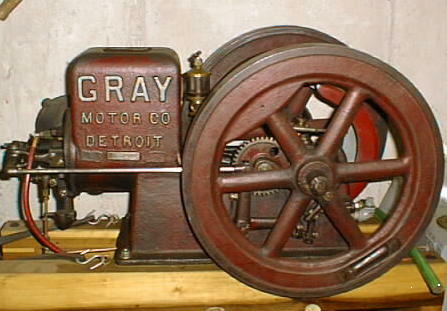 Ernie Darrow's 1 1/2 hp Gray Engine, Original paint. It is as the add says, "no hard oil" in this engine. Shake oiler on the rod and oil wells on the mains. Stan Graysons book "Bueatiful Engines." Great find Ernie! Hope to hear more about your GRAY with the original paint!